When we think about germs and bacteria, we normally associate these microorganisms with diseases and illnesses. Then again, different types of bacteria exist and there are those, which are considered good for your health and wellness. These good bacteria, known as probiotics, play integral roles in maintaining the well-being of your entire body, even that of your kids. As your little ones explore and interact with the rest of the world, their system easily gets populated by millions of microorganisms. This can make them prone to various health risks. The good thing is, certain bacteria can be introduced to the immunity of infants. Probiotics help in boosting the resistance of your babies throughout their early years in life. Probably the most known benefit of good bacteria would be its role in upholding gastrointestinal health. Probiotics has been shown to diminish digestive problems, such as lactose intolerance, diarrhea, constipation, and even irritable bowel syndrome. Helpful probiotic bacteria can relieve bloating and other symptoms, as well as increase stool frequency. Probiotics boost the effectiveness of your immune system when it comes to keeping your body free from pathogens. These microorganisms can ward off respiratory health problems like cold and flu, as well as get rid of allergies. 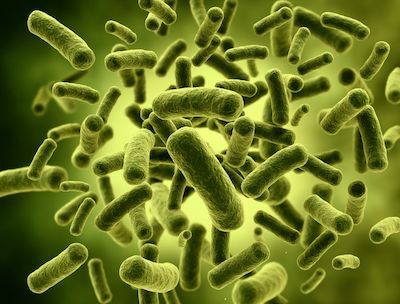 Probiotics disrupt the capacity of harmful bacteria to establish colonies and start attacks from inside your system. Good bacteria have been proven to improve mineral absorption as well as bone structure and composition. Also, they help in manufacturing and multiplying the proteins that deliver calcium to the bones. As a result, your bones are stronger and less prone to damage and fracture. To learn more on how probiotics and other good bacteria can help in promoting your optimal overall health and wellness, consult your reliable chiropractor in Gold Coast here at Hinterland Chiropractic. We are committed to helping you achieve a healthy mind and body by providing you with an all-natural and holistic approach to utmost well-being. Call us today on 07 5527 3133 or simply book your appointment online to experience the wondrous health benefits of the chiropractic lifestyle.